Teraa Surroor promotions in Hyderabad & Pune! 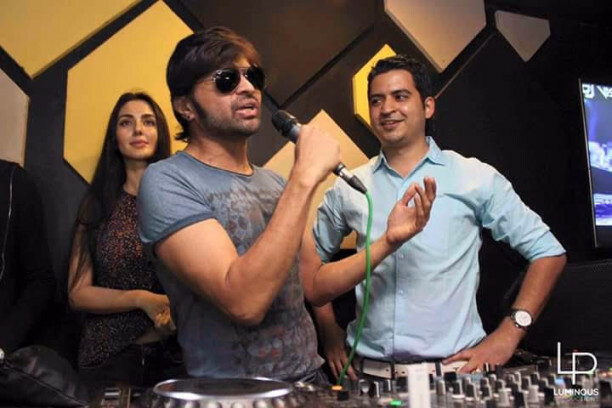 With less than 10 days until its release, Himesh Reshammiya’s next film as an actor ‘Teraa Surroor’ kick started its promotions at full speed with events in Hyderabad and Pune last weekend. 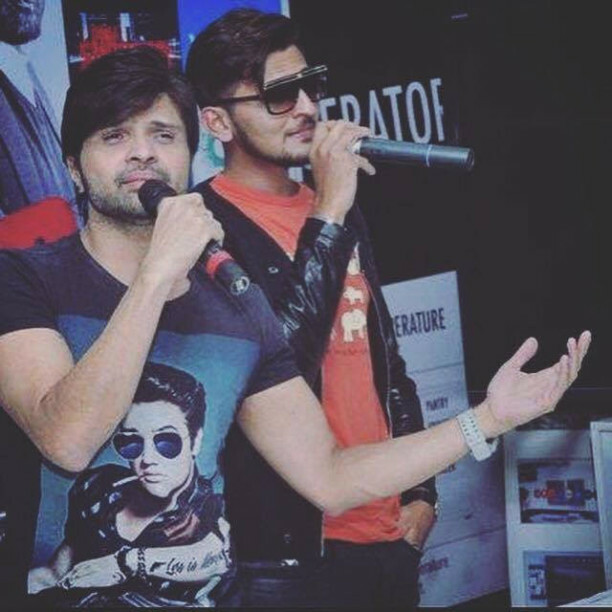 Himesh along with his business partner Rakesh Upadhyay, director Shawn Arranha, leading lady Farah Karimi and singer (of ‘Main Woh Chaand’ and ‘Bekhudi’) Darshan Raval, attended various events in Hyderabad on Saturday and in Pune on Sunday. Their first call was a press conference in Hyderabad, followed by a performance from Himesh at one of their local shopping malls. 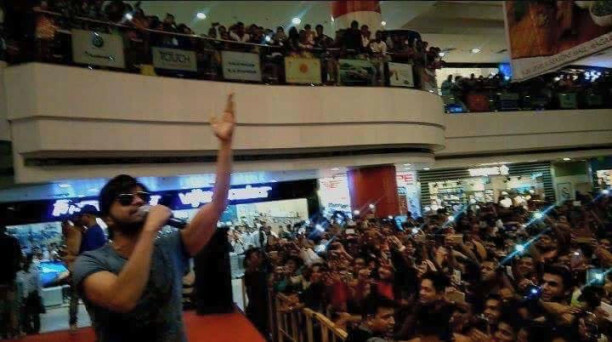 In Pune too, Himesh performed at half time during the UBA Basketball tournament to entertain the crowd, and then gave a show stopping performance to a packed Seasons Mall in Pune! Other events included performances at the Sound and Spirit pub im Hyderabad, 18 degrees rooftop in Pune and The Mugshot Lounge also in Pune. Check out the pics from these events below. Teraa Surroor – A lethal love story is all set to release in cinemas on 11th March. 16 queries in 1.249 seconds.